who are nationals and/or eligible residents of the United Republic of Tanzania. 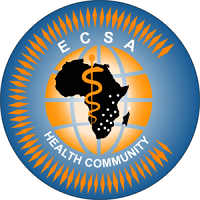 The position is tenable at the ECSA Health Community Secretariat in Arusha. from couriers and post office to ensure it is received in time. viii. Preparation of tea/coffee etc. ix. To arrange documents and files in ranking or cabinets in the registry. x. To file documents in the appropriate files. xi. To receive, record and distribute incoming and internally memorandum. i. Ordinary Certificate of Secondary Education. ii. Valid scooter/motorcycle driving license. reputable organization preferably in an international organization. i. Good communication skills of both oral and written English Language. ii. Ability to work independently with minimal supervision. The ECSA Health Community is an equal opportunities employer.